If you are a landlord, tenant, or lender, and have no clue as to what the title of this Blog article is referring to, please read on. The bottom line is that if “the form does not fit, you must alter it”. If you are a lender, the “A” - (Attornment) will be necessary to prevent a tenant from walking away from its lease without liability, in the event its landlord is foreclosed upon. Without the “ND” - (Non-Disturbance), a tenant can be permanently evicted from its leased premises after a foreclosure of its landlord’s property, regardless of how much time is left in the lease term. The “ND”, the “A”, and at times, the entire “SNDA”(Subordination, Non-Disturbance and Attornment Agreement) are often overlooked because they are not understood, frequently resulting in disastrous and unintended consequences. Before one can understand the crucial nature of SNDA’s or its various “sub-agreements”, it helps to get a sense of what all the letters stand for, what they mean, and the law in Ohio that makes them necessary. 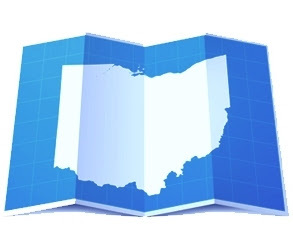 There are two basic principles of Ohio real estate law that dictate the need for SNDA’s. The first is Ohio’s Recording Acts (See Ohio Revised Code Section 5301.23 and Section 5301.25). The general purpose of recording acts is to protect people who have acted in good faith, paid value for property, and want to assure themselves that they have all the rights to their property, as against the rest of the world. Ohio has what is called a “Race-Notice Recording Act” (for deeds and other instruments, except mortgages-O.R.C. Sec. 5301.25) providing that unless one party has actual notice, the person that “wins the race”, and records their interest in a property has priority over the person that records later. As between mortgages, Ohio has adopted a “Race” Recording Act (O.R.C. Sec. 5301.23), with the date and time of recording being the sole test for priority. For an example on how the law works, if a bank lends money to a landlord and takes back a mortgage, and records that mortgage, the bank has staked its first priority position. If the landlord later leases the property to a tenant, and the lease, or a memorandum of lease is subsequently recorded, the tenants’ rights are second in position. In the Olympics, second place is a coveted silver medal. In real estate, however, especially in Ohio, second place can be catastrophic for a tenant due to the “second basic principle of Ohio real estate law discussed below. The second basic principle of Ohio real estate law dictating the need for SNDA’s is that as a general rule, a lease is extinguished upon foreclosure of the property leased. Ohio and a minority of other states declare a lease terminated, upon foreclosure of the property being leased, whether or not the tenant was joined in the foreclosure action. (See New York Life Ins. Co. v. Simplex Products Corp., 21 N.E. 2d 585 [1939- Ohio]; Hembree v. Mid-America Federal Savings & Loan, 580 N.E. 2d 1103 [Ohio App.-2nd Dist., 1989]). If the tenant does not vacate the premises after the foreclosure, the new owner can file for eviction and prevail, regardless of how much time the tenant had left on its lease. (Note: as a result of some contrary lower court authority, mortgagees seeking assurance that “junior” leases to a property will terminate, often will join the tenants as additional parties defendant in their foreclosure action. See Ohio Real property Law and Practice Sec 20.23 [Matthew Bender & Company- 2007]). As a result of the above-described real estate law, the SNDA was “invented” as a vehicle to prevent unintended or distressing consequences from otherwise occurring. Actually, the SNDA is three agreements in one. The “S”, the Subordination Agreement allows a lender-mortgagee of the property whose lien is second (or junior) to become superior to the lien of the lease. Most lenders like to be in “first place”, and insist, as a condition to their loans, that any superior leases in place be “subordinated” to their mortgage. That is why most leases will have a clause requiring the tenant to subordinate their lease to mortgages which the landlord may apply for during the lease term. One crucial, fatal error for tenants is to forget to insist upon the “ND” part of the SNDA. The Non-Disturbance Agreement is an agreement, or part of an agreement that permits the lease to stay in force as long as the tenant is not in default. It is a contractual agreement between the lender and the tenant, necessary because the lease itself would otherwise be extinguished after a foreclosure. The following language, or variation thereof, should always be in a lease to qualify the right of subordination and protect the tenant: “provided that Landlord shall procure from any mortgagees or other parties requesting subordination, as a condition to such subordination, an agreement in form reasonably acceptable to Tenant providing in substance that so long as Tenant shall faithfully discharge the obligations on its part to be kept and performed under the terms of this Lease, Tenant's tenancy and rights under this Lease will not be disturbed by any mortgagee or as a result of any default under any such Mortgage (“Non-Disturbance Agreement”), and that this Lease shall remain in full force and effect even though default in or foreclosure of the Mortgage may occur”. With the above language, or variation thereof, the lender or new buyer after a foreclosure of the landlord’s property would be legally obligated to recognize the tenant and its lease. One extremely important, and often overlooked requirement for a tenant signing a lease is a Non-Disturbance Agreement with regard to existing mortgages in place, recorded before the recording of the lease. In these situations, the existing mortgage starts out in “first place”, and consequently, a Non-Disturbance Agreement is just as, if not more important for the tenant. The following language can help protect the tenant from losing its lease as a result of a mortgage filed prior to the start of its lease, that is later foreclosed upon: “Notwithstanding anything contained herein to the contrary, Tenant shall have the right to terminate this Lease, upon written notice to Landlord, in the event Tenant and any current mortgagee or assignee shall not have entered into a Non-Disturbance Agreement in form and substance reasonably satisfactory to Tenant within (60) days after the Commencement Date of the Lease. In addition to unhappy tenants coming to us for advice “after the fact”, we have heard from unhappy lenders when the “A” is ignored, with unintended consequences to the lender. Suppose we have a situation where a landlord’s property is foreclosed upon, and the tenant wants to get out of its lease obligations. If the lease was subordinated to the mortgage, the lender’s rights have priority over the tenant’s rights. The tenant’s obligations, however, are another story. Since the lease becomes extinguished upon foreclosure, there is no resulting agreement obligating the tenant to pay rent and stay in place. This is where the “A” comes into play. The Attornment agreement (or provision) creates a contractual obligation between the tenant and a third-party lender, in which case the tenant agrees to recognize the mortgagee as its new landlord, after a foreclosure sale. Landlords are cautioned in regard to SNDA’s as well as tenants and lenders. We have seen many elaborate subordination and SNDA clauses in leases, some purporting to be “self-effectuating”. While there is some lower court authority to the contrary, the danger of fancy, elaborate subordination clauses within the lease is that they may be ruled extinguished, along with the lease they are contained in. It is much more cost effective to put the SNDA is a separate document, signed by landlord, tenant and lender, than being faced with the prospect of litigating the matter to be a “test case” for the Supreme Court of Ohio. Even if “all the letters are in the agreement”, legal counsel is advised to review the same. While containing similar provisions from time to time, SNDA’s are no more “standard” than any other legal document with rights and obligations of more than one party to the documents. The SNDA should track the existing lease rights and obligations and not add to or subtract from same. At the very least, tenants, make sure the SNDA has a “ND” and insist on a “ND” prior to signing a lease, if there is a mortgage already in place on the landlord’s property. Landlords, don’t believe there are no issues to be concerned about, if your SNDA’s are not separate documents, approved by your lender. And lenders, don’t forget the “A”, or you may find yourself taking over a former income producing property, with no more rent income in the future. So Rich, if I am a tenant with a recorded lease and the property is sold at foreclosure or tax sale, and I was not named in the foreclosure suit, I lose my right to my lease?